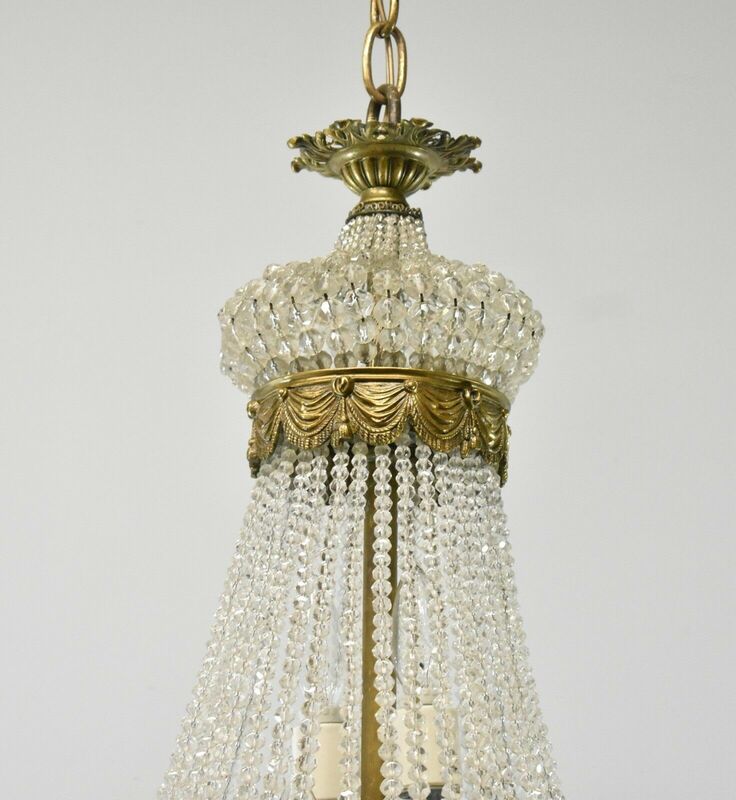 Stunning antique French style crystal and bronze chandelier. 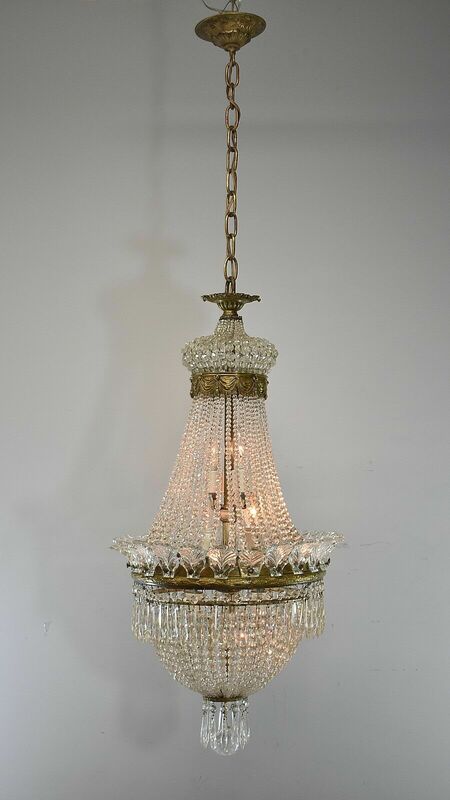 64″ in length from ceiling cap to bottom. 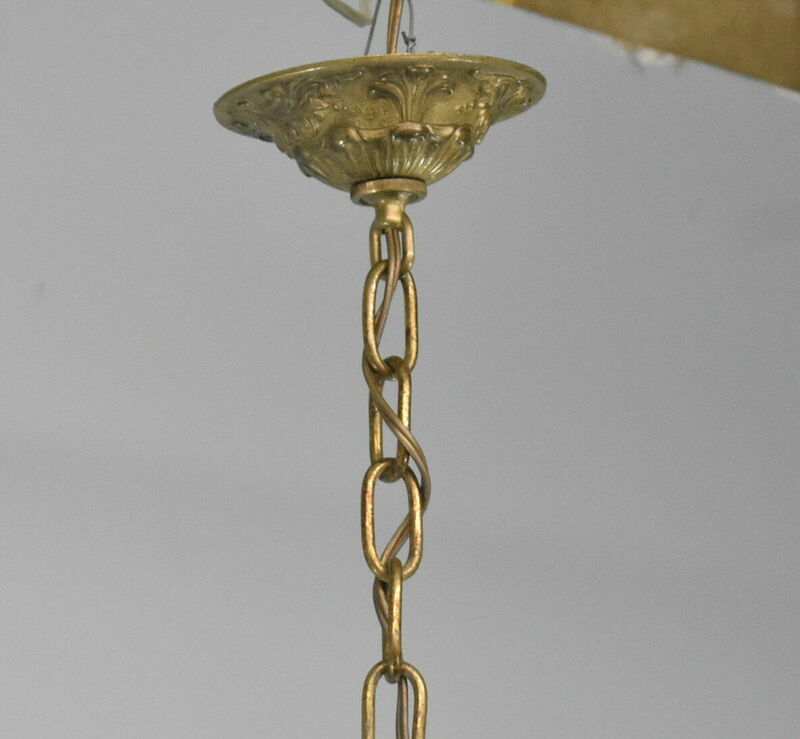 Ornate bronze canopy with crystals connect to bronze ring that has dropped swag details. 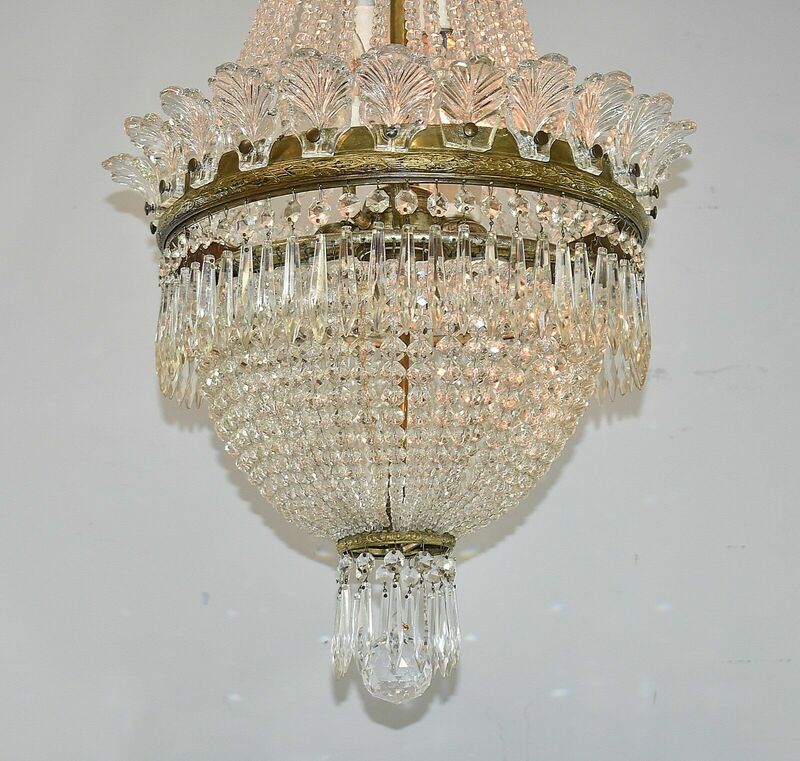 Body of the chandelier has seven light sockets covered by roped crystal. Dropping down to the largest bronze ring 15″ in diameter decorated with raised acanthus leaves. Topping the ring are curved individual crystal leaves. Under the ring are hand cut prisims incircling. 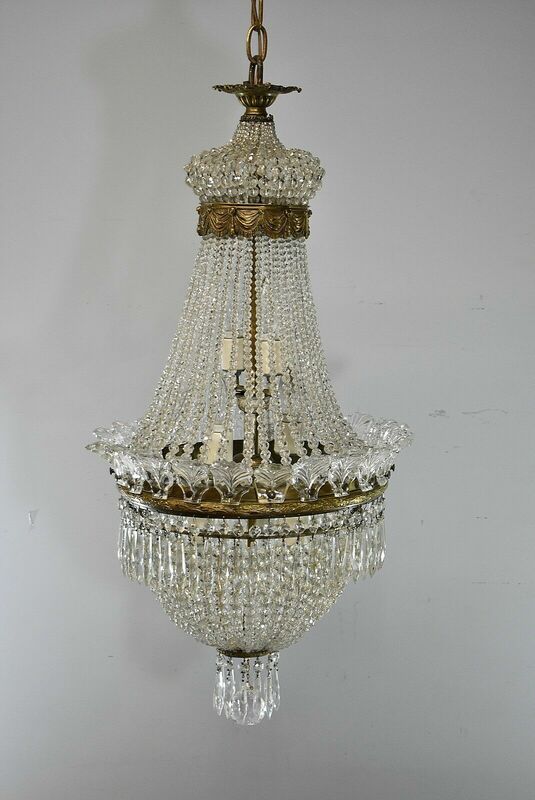 The bottom of the fixture forms a crystal basket with more cut prisims and a large crystal ball finial. Ceiling cap is not original. 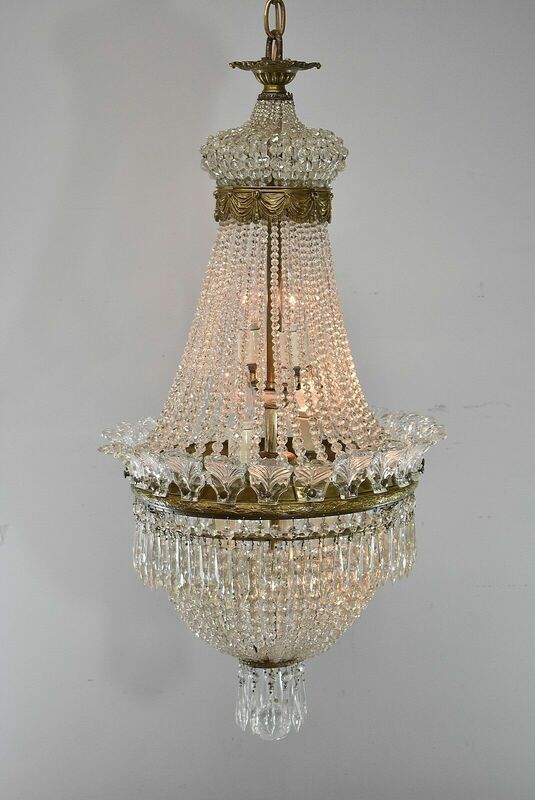 Very nice used antique fixture with aged patina. Please call with any additional questions at 419-473-3373. 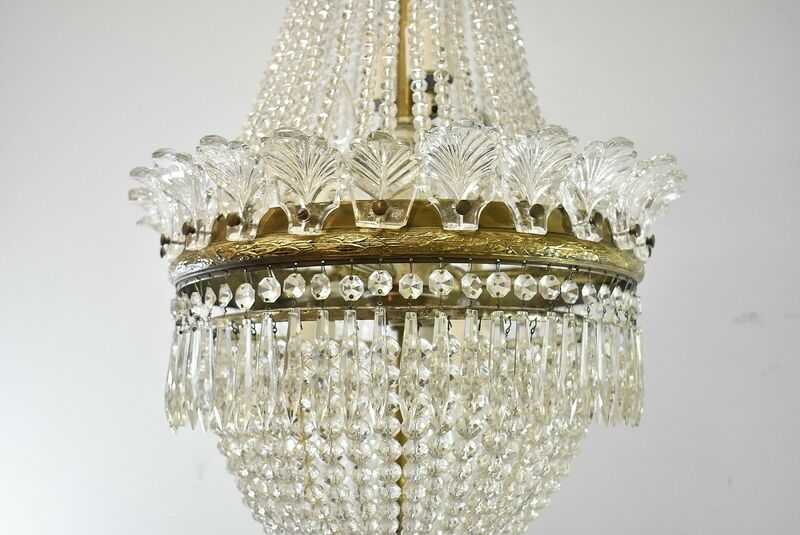 Buyer must arrange for safe shipping or LOCAL PICKUP ONLY.